The new thriller from Australian author Jaye Ford (Winner of 2012 Davitt Award for a Debut Novel) starts out fast before developing into a gripping, intense mystery. Journalist Miranda Jack is finally attempting to move on from the death of her husband by relocating up the coast with her young daughter, Zoe. Then a single event changes everything. On a Monday afternoon as she waits at traffic lights, a stranger jumps into her car and points a gun at her chest. Forced to drive at high speed up the motorway, Miranda listens to the frantic, paranoid rants of Brendan Walsh, a man who claims he's being chased and that they're both now running for their lives. 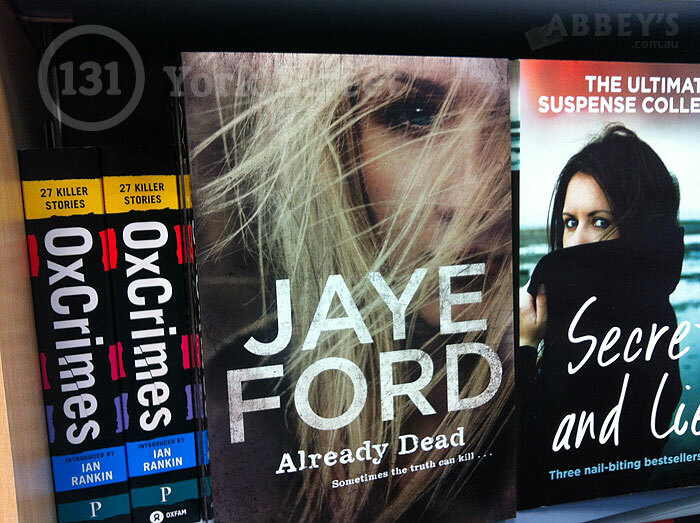 Jaye Ford is also the author of three other chilling suspense novels, Beyond Fear, Scared Yet? and Blood Secret. Beyond Fear won Best Debut and Reader's Choice at the 2012 Sisters in Crime Davitt Awards. Under the name Janette Paul, she is also the author of the bestselling romantic comedy, Just Breathe (available in ebook only). Jaye is a former news and sport journalist, with the unusual claim to fame of being the first female presenter of a live national sport show in Australia, hosting Sport Report on SBS in 1988-89. She also worked in public relations before turning to crime fiction. She lives at Lake Macquarie in the NSW Hunter Valley.